A fundamental truth about investing is that markets don’t go up at all times. 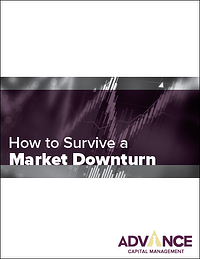 It’s likely that during your life as an investor, you’ll experience a market downturn – possibly a correction or even a crash. You shouldn’t be worried, but you should be prepared. In our white paper, we explore evidence that shows how sticking with a diversified investment strategy over the long term is often the best approach to weather a market storm. We then present two case studies to help you understand the real-life implications of the investments lessons in this paper. Download your free copy by filling out the form to the right.